Custom Pools and Spa's by Cinderella Pools! 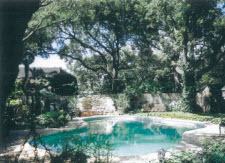 Cinderella Pools is your quality San Antonio Swimming Pool Contractor, locally & family owned and operated since 2003. We have been serving Bexar and Kendall Counties for over a decade. We are fully licensed and insured. We offer Custom Swimming Pool and Hot Tub Design, Building, Construction, Installation, Remodeling, Repairs, Resurfacing, Acid Washes and Re-plastering. We also offer Pool Openings and Closings and Pool Deck Services. Cinderella Pools of San Antonio, Texas have the experience and quality workmanship you need for pool design, installation and repairs. Our qualified experts use their expertise and advanced equipment and products to ensure superior results. With the vast knowledge of Cinderella Pools, if your fiberglass pool is in need of repair, our professionals are readily available as we are fully licensed and insured to deliver quality repair services in the Greater San Antonio, Texas area. 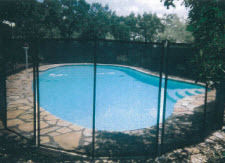 It is not uncommon for fiberglass pools to crack in San Antonio, Texas and surrounding areas. There are a number of causes that include improper pool draining; drought that causes ground movement; seismic activity, like earthquakes or aftershock; or structural weaknesses that may have been overlooked. When fiberglass pools crack, they will leak, and they are an excellent candidate for repairs to give your fiberglass pool the durability and longevity. Cinderella pools can provide quality repairs no matter if a vinyl liner poor was converted to fiberglass, a plaster pool has been resurfaced, or even a pre-manufactured fiberglass pool has been cracked. Repairing your fiberglass pool can breathe new life into your pool. 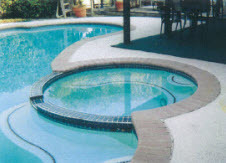 We can provide quality repairs for fiberglass liners previously installed by other contractors, the delamination of an old fiberglass pool, as well as cracks in existing fiberglass liner or shells. Cracks in the fiberglass of swimming pools can not only be a challenge to detect, but repair if you do not have the training and experience. 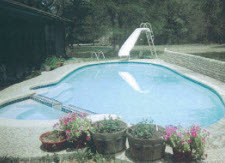 When cracks do happen, you need the specialists of Cinderella Pools to repair your San Antonio, TX fiberglass pool. Contact us for all your swimming pool design, installation, repair, replacement and inspection needs.